It’s been a week since Republican presidential nominee Donald Trump delivered his own personal “Gettysburg Address.” As a historian who has taught and written about the American Civil War for three decades, I have been itching to respond, but free moments have been hard to come by. As it is, I don’t have time to craft a real essay, so the scattered reactions below will have to do for now. Questioned before the event about the choice of locale, an aide said that Trump “has spoken before about Abraham Lincoln” and that “Abraham Lincoln is going to be an important figure in terms of Mr. Trump’s vision for the Republican Party.” This is scary, given how little Trump seems to know about our sixteenth president. Has anyone forgotten his deer-in-the-deadlights answer to columnist Bob Woodward this past spring? Noting that Trump was poised to become standard bearer for the “party of Lincoln,” he asked the presumptive nominee why Lincoln succeeded. “Thought about that at all?” Woodward queried. Well, I think Lincoln succeeded for numerous reasons. He was a man who was of great intelligence, which most presidents would be. But he was a man of great intelligence, but he was also a man that did something that was a very vital thing to do at that time. Ten years before or 20 years before, what he was doing would never have even been thought possible. So he did something that was a very important thing to do, and especially at that time. Trump aides also identified other motives for the Gettysburg locale in addition to Trump’s admiration of Lincoln (for doing that thing that he did). 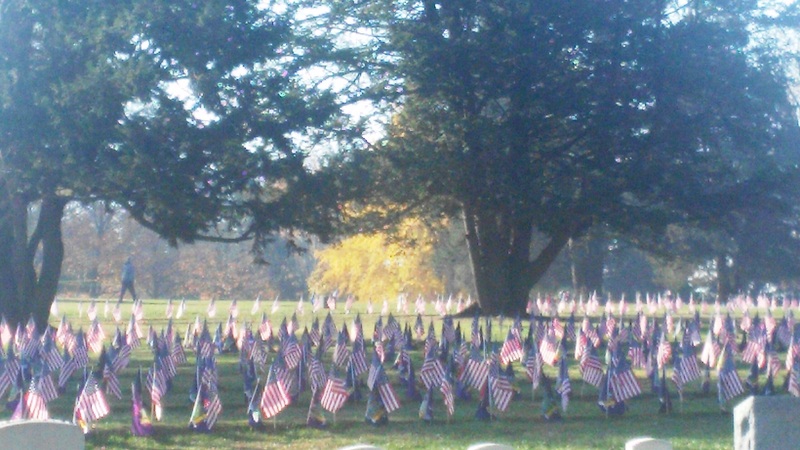 The battlefield is a symbol of sacrifice, they explained, which made the location both an ideal spot to honor veterans and to make a plea for unity. This brings me to my second thought: both defenders and critics of Trump contend that Abraham Lincoln’s Gettysburg Address was all about unifying the country. 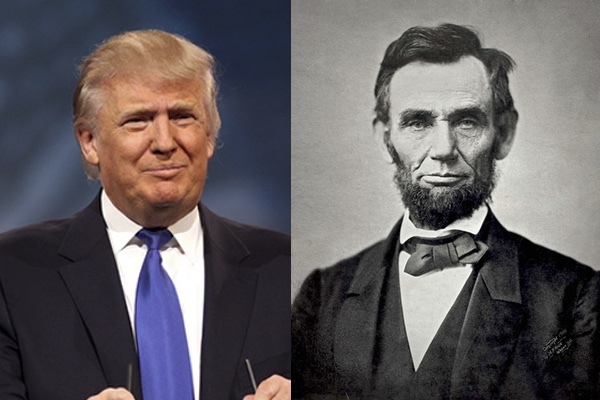 Critics have especially stressed this idea, juxtaposing Lincoln’s supposed appeal for reconciliation and unity at Gettysburg with Trump’s divisive rhetoric. Was Lincoln’s rhetoric at Gettysburg aimed at unifying Americans? Not really. He wasn’t remotely offering any olive branches to the one-third of the nation currently at war with his authority. A year and a half later, when Union victory was imminent, he would do exactly that in his Second Inaugural Address of March 4, 1865, but that was not his goal at Gettysburg. The interpretation of the war that Lincoln offered there was abhorrent to the white Southerners. He didn’t expect them to agree with his speech, but what is more, he didn’t expect them to hear it. 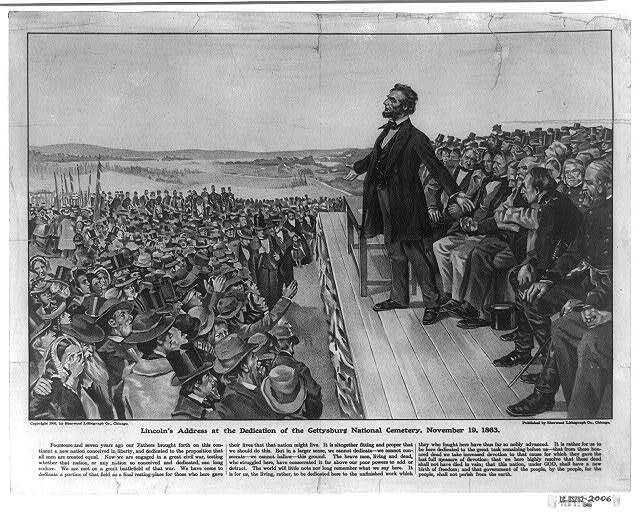 Lincoln’s effective audience at Gettysburg was the North, not the entire country. OK, then can we say that Lincoln was at least trying to unify the North in his remarks at Gettysburg? It depends on what you mean by “unify.” Did he search for common ground that all northerners could agree to? No. Did he make the most eloquent case that he could for a partisan policy and try to avoid unnecessarily offending his political opponents? I think so. As Lincoln spoke, the North was split right down partisan lines for and against emancipation; the Republican Party supported it, while the Democratic Party unanimously denounced it. 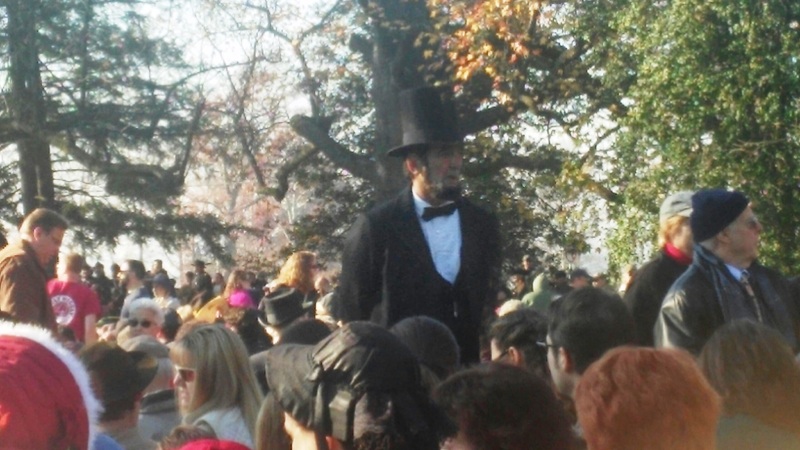 Like so many other politicians before and since, Lincoln used his public appearance before a large crowd as an opportunity to make a political statement. Even though he never once referred to emancipation explicitly, he wasted no time in defending his administration. Today we don’t read the Gettysburg Address as a partisan speech in part because we read it in a vacuum. In chiseling it in marble, we’ve also wrenched it from its historical context. But we also don’t pick up on its partisanship because Lincoln himself did a good job of hiding it from posterity. There are no explicit cues for later generations. He never refers to his political opponents. He takes no cheap shots. His interpretation of the war was effectively the Republican interpretation of the war, but he hoped that someday all Americans would remember it in the same way and so he avoided gratuitous insults of those who disagreed with him. Which leads me to one final thought: Lincoln rarely referred to himself in his public addresses. 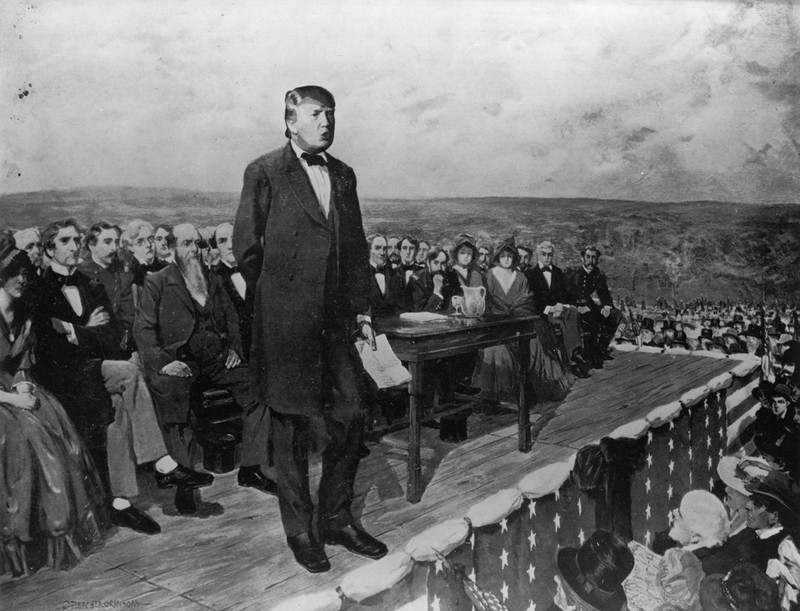 At Gettysburg, he never even uttered the word “I.” Although Trump’s aides promised that his speech would build on Gettysburg as a symbol of sacrifice and unity, Trump immediately focused on himself, branding those who have accused him of sexual impropriety as liars and promising to sue them just as soon as he is elected. Make of that what you will. 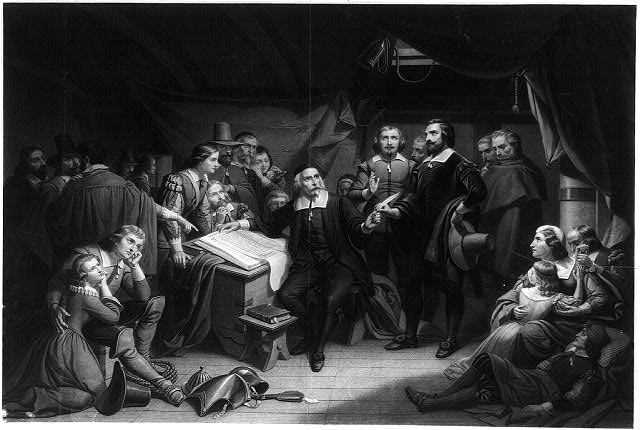 One of my favorite quotes about the value of history comes from historian David Harlan, who reminds us that, “at its best, the study of American history can be a conversation with the dead about what we should value and how we should live.” Not many academic historians hold to that view anymore, and we’re the poorer because of it. I was repeatedly reminded of this as I walked the ground at Gettysburg–the opportunities for life-changing conversations abound, if we have ears to hear. “Hear” is the key verb, because the conversations that I have in mind require above all that we be willing to listen. Sometimes in such conversations the figures from the past interrogate us. The first conversation that I was drawn into was of this sort. 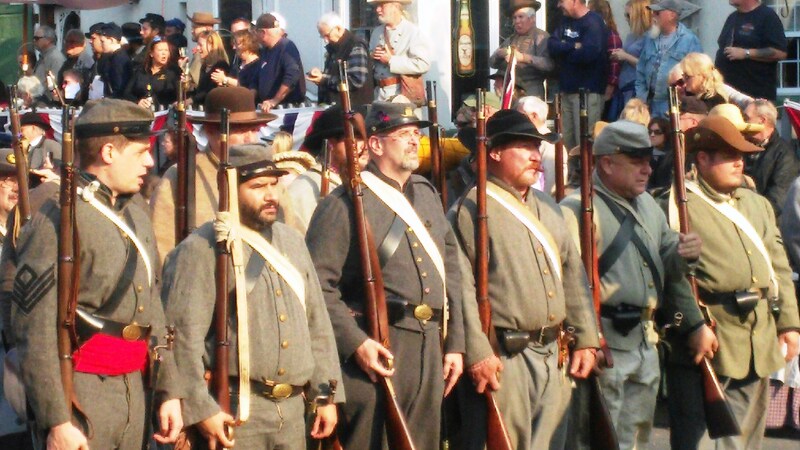 It began as I tried to envision what happened there a century and a half ago, when over one hundred and fifty thousand soldiers in blue and gray clashed in the largest battle ever fought in the western hemisphere. I have previously noted the chasm that separates us from the men who fought there, and yet it is almost impossible to walk in their footsteps without imagining what it was like to be in their shoes. And as I clambered among the boulders at Devil’s Den, peered through the trees on Little Round Top, and ascended the long, gentle slope of Cemetery Ridge, the questions running through my mind began to change. When the conversation began, I was the one doing the asking–posing safe, academic questions about troop movements and tactics. But then as I tried to imagine what these men experienced, much more personal, far more disturbing questions came to dominate my thoughts. Gazing east at Little Round Top (on left) and Big Round Top. The short answer to all of the above is, “I don’t know.” I pray to God that my faith would not falter, but I just don’t know. What I do know about myself is not reassuring: I too often struggle with even the most trivial acts of self-denial, the most mundane expressions of laying down my life that pale in comparison to the price paid by so many who fought here. Sometimes our conversations with the past involve listening in on a discussion among historical figures and trying to learn from it, trying to glean wisdom as to “what we should value and how we should live.” I was also drawn into this kind of conversation as I walked the ground at Gettysburg, particularly as I contemplated the nearly fourteen hundred monuments that are sprinkled across the landscape. 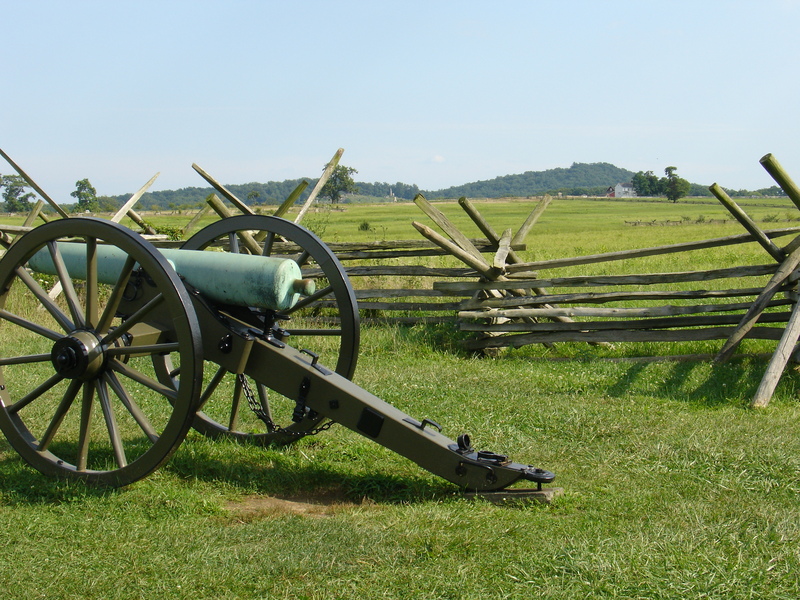 As I’ve noted before, Gettysburg National Park is arguably the world’s largest statuary garden, and as such it speaks not only to the battle itself but also to its aftermath. As with tombstones in a cemetery, we read in the ubiquitous inscriptions two kinds of testimony: testimony about the doings of men, and testimony about the longings of mankind. That is, their words speak not only to what happened here, but also to how the soldiers who are commemorated, as well as their descendants, yearned for significance and wanted to believe that their lives mattered. In this sense, the monuments at Gettysburg are best understood as part of an ongoing conversation about the meaning of what happened there, and that conversation is, in a sense, merely a small part of a universal human dialogue about why, or whether, our lives matter at all. Modern-day historians such as James McPherson and Chandra Manning have read literally tens of thousands of pages of Civil War soldiers’ diaries and letters in an attempt to understand why men fought in the Civil War. The words they have pored over were not chiseled in granite but scribbled in pencil. In their unguarded moments, Civil War soldiers revealed a broad range of motives. Some voiced ideological motives. Speaking in terms of duty and obligation, they professed to have enlisted in order to defend liberty, or democracy, or union, or states’ rights, or republican government, or the legacy of 1776 (however they understood it). Others enlisted for less exalted reasons: to escape boredom, find adventure, prove their manhood, see the world, impress girlfriends (or potential girlfriends), increase their income, or avoid the draft. I want to be clear here. I am not sneering at the possibility that many of those who fell on this field were motivated by high ideals. I am convinced that many were, and I admire them for it. C. S. Lewis has written that the greatest chasm separating the human race is not the divide between Christians and non-Christians or even that between theists and atheists, but rather the gulf between those who recognize any belief system outside of themselves that demands their allegiance and those who acknowledge no such standard. The latter, in the words of G. K. Chesterton, are adherents of “the most horrible” of religions: “the worship of the god within.” In a recent essay on the importance of fatherhood, N.Y.U. 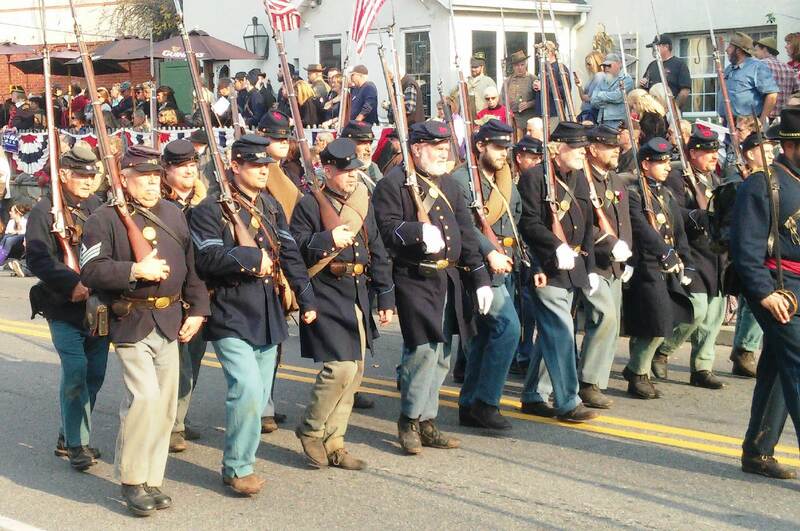 psychologist Paul Vitz observes that “the world is hungry for examples of unselfish men.” In our age of materialism and individualism, the example of those who did fight at Gettysburg for union or states’ rights, freedom or independence, is a breath of fresh air. And yet we need to think carefully about the conversation that we are listening to. What impresses me most about these monuments is their use of religious language and imagery in commemorating the men who fought here. It’s not that there are references to God, Jesus, or Christian faith–I’ve found almost none. 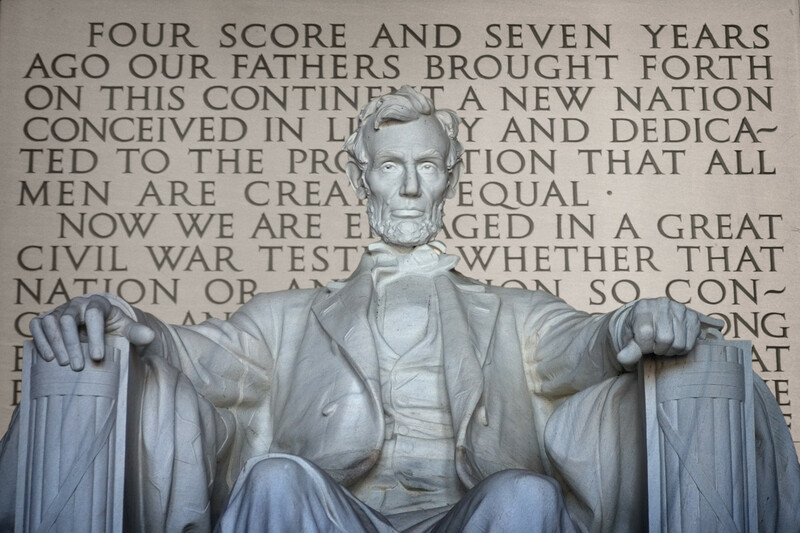 But think about the words and phrases that do appear: “martyrs,” “devotion,” “sacrifice,” “faith,” “immortal” fame, “righteous” causes, “eternal glory,” “the millennium of their glory,” “sacred” heritage, “no holier spot,” and “ground forever hallowed.” As with Lincoln’s Gettysburg address, such rhetoric confuses the sacred and the secular. It fuels a temptation to which none of us is immune: the temptation to conflate our identity as Christians with other loyalties and attachments. And yet we commonly cope with our heart hunger through self-deception, convincing ourselves that we can find meaning and purpose, fulfillment and transcendence in this life alone. As Christians, we are free to give a conditional loyalty to the state, but not our ultimate loyalty. 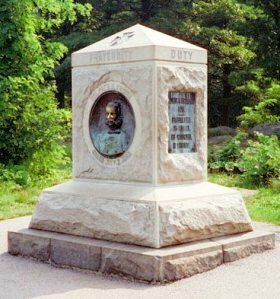 All too often, the monuments at Gettysburg that speak to the battle’s larger meaning imply that we can be the authors of our own immortality, and that the key to our doing so lies in our making sacrifices to the state. Christian scholar Wilfred McClay has written recently that, because “human beings are naturally inclined toward religion . 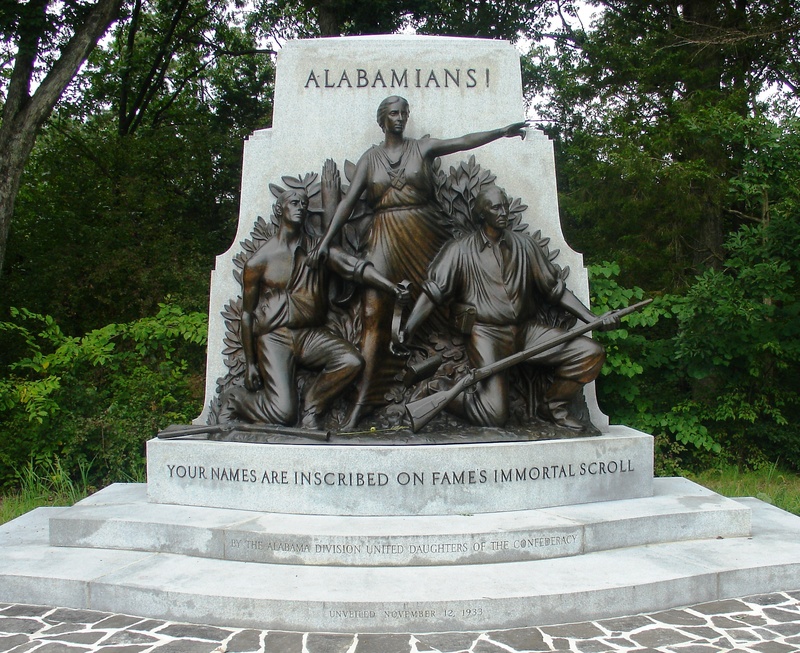 . . we have an incorrigible need to relate secular things to ultimate purposes.” Gettysburg’s monuments remind us that, because we are fallen, we are naturally tempted to equate secular things and ultimate purposes. But these are not the only voices that I heard at Gettysburg, for there were countless others raised during the battle itself. Most of these cries from the heart are known only to God, but a fraction has survived in the soldiers’ own words, confessions made to contemporaries rather than declarations to posterity. One stands out in my mind, the testimony of an unnamed, unknown soldier who bore witness to a different kind of response to the indescribable happenings on this field. We know of this soldier only through the recollection of another, Confederate Captain George Hillyer of the Ninth Georgia Infantry, a regiment in Anderson’s brigade of Hood’s division of Longstreet’s corps of the Army of Northern Virginia. Twenty-nine miles from Gettysburg when the fighting began on July 1st, they had marched all day and night and arrived on the field just before daylight on the 2nd. After spending the morning lying in a stand of woods due west of the Round Tops, in the afternoon Hillyer’s company was part of the general Confederate attack on the Union left. 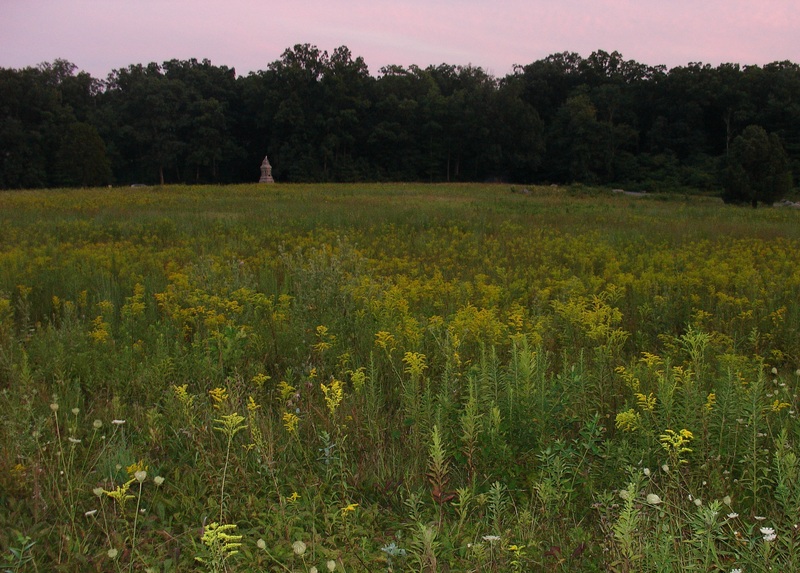 After making it almost to the base of Little Round Top, the Ninth Georgia was forced to withdraw, and Hillyer and his exhausted and bloodied company spent the night within earshot of Farmer Rose’s wheat field, a twenty-six-acre expanse that had been the site of some of the day’s fiercest fighting. As the sun went down, the wheat field was a kind of “no-man’s land” between the contending armies, with perhaps as many as four thousand dead and wounded soldiers now carpeting the flattened grain. Come, ye disconsolate, where’er ye languish; / Come to the mercy seat, fervently kneel; / Here bring your wounded hearts, here tell your anguish; / Earth has no sorrow that heav’n cannot heal. This is the voice that I will remember most from my visit to Gettysburg. To take the past seriously is to put our own lives to the test, and the conversations at Gettysburg do just that, pressing us with hard, discomfiting questions: What do we value? In what do we hope? Where do we find meaning? The answers etched here in granite are noble, but they are also earthbound, temporal. Far more challenging, far more convicting, far more comforting, far more hopeful is the response on the lips of this unknown soldier. Sung in darkness amid death and despair, it is both historical occurrence and spiritual metaphor, an echo of God’s invitation to a bruised and hurting world. Come to the mercy seat, fervently kneel . . . The Wheat Field at sunset. I apologize for being away for so long. Not only is it a very busy time in the academic calendar here at Wheaton, but I also had the opportunity to take part recently in a conference at Calvin College on teaching, and since I invariably procrastinate in preparing for such events, the couple of weeks preceding the conference involved a succession of long days and late nights. Then shortly after the meeting I made a quick 1,400-mile road trip to visit my dad in Tennessee over our brief fall break–and so fell further behind. Then I participated in another day-long conference on campus this past weekend (in which I had the pleasant task of introducing a panel discussion among Christian historians Mark Noll, George Marsden, and John Fea), but now I am resolved to put some thoughts in writing before I forget how. 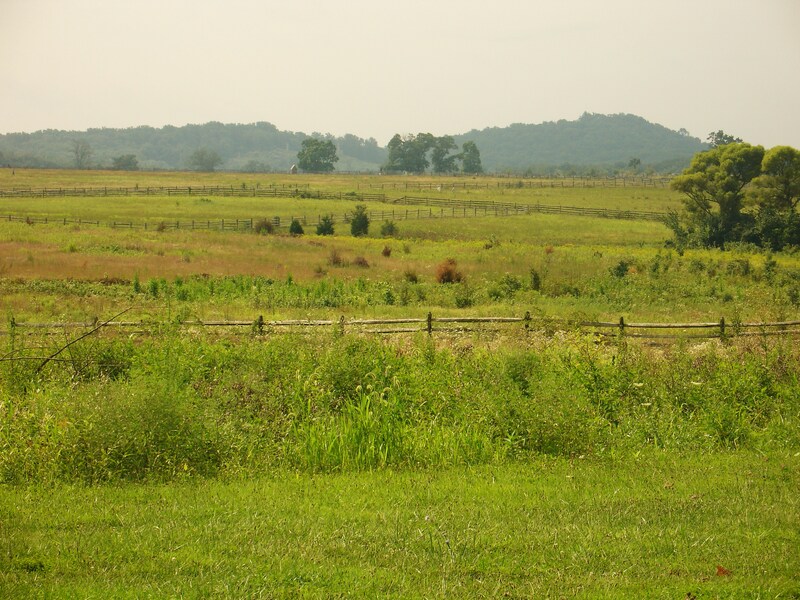 Since it’s been ridiculously long since my last meditation on the battlefield at Gettysburg, it may seem anticlimactic to offer a concluding reflection, but I’m going to do so anyway. I feel like I have to. What I have to share are two encounters with the past at Gettysburg that, in and of themselves, made my trip there educational. As I have argued before on this blog, education is not defined by a mere enlargement of knowledge or skills. Authentic education requires “inner work.” It touches our hearts, alternately convicting and inspiring us. When it occurs, we are changed. “Could you steel yourself to do what these men did?” I found myself wondering. “Could you endure what they endured?” More importantly, “Could you witness such carnage and still believe in mankind? Could you help to inflict such destruction and still believe in yourself? Could you experience such suffering and still believe in God?” Above all, “Are you devoted to any principle, any cause, any person, any Master enough to give, in Lincoln’s words, “the last full measure of devotion?” The short answer to all of the above is, “I don’t know.” I pray to God that my faith would not falter, but I just don’t know. What I do know about myself is not reassuring: I too often struggle with even the most trivial acts of self-denial, the most mundane expressions of laying down my life that pale in comparison to the price paid by so many who fought here.